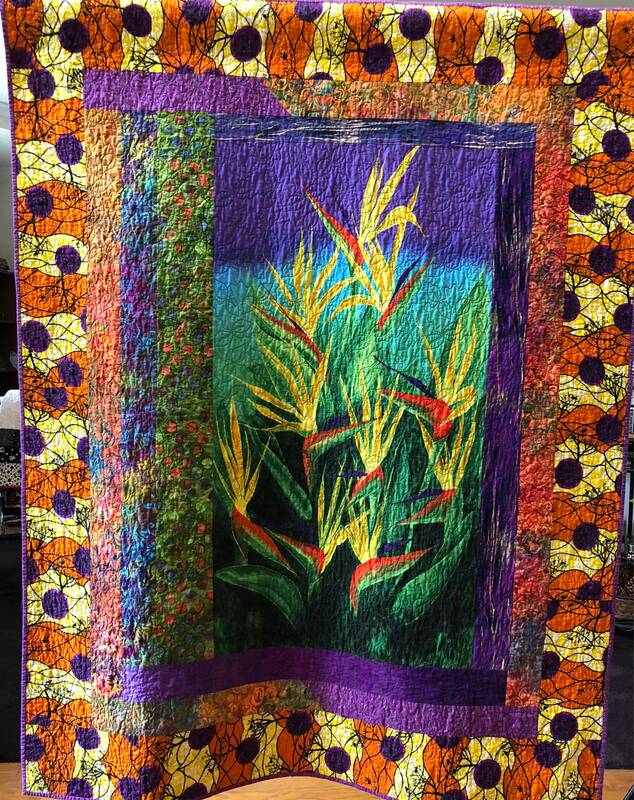 “Seek the Sun” is a quilted wallhanging that measures 48x61 inches. 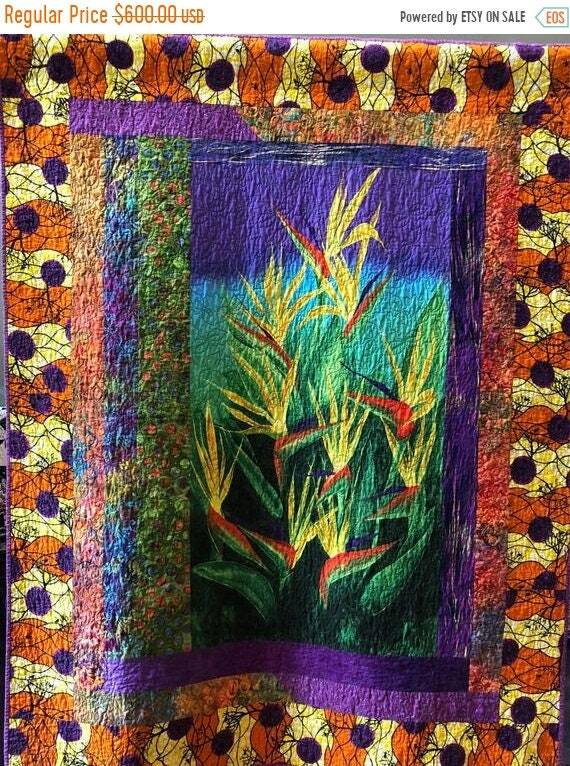 The focal point of this wallhanging is the printed panel of a bird of paradise flower by Frond Design Studios. 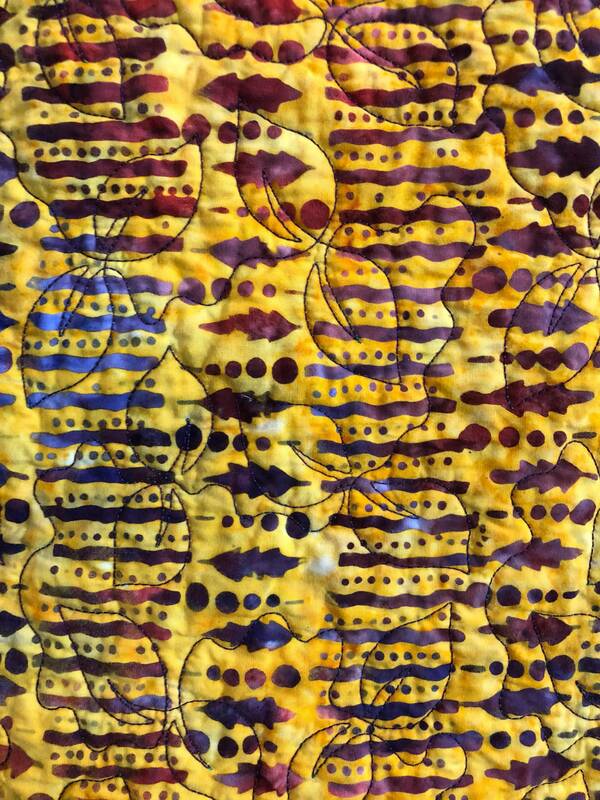 The flower is accented by batik and African print borders. 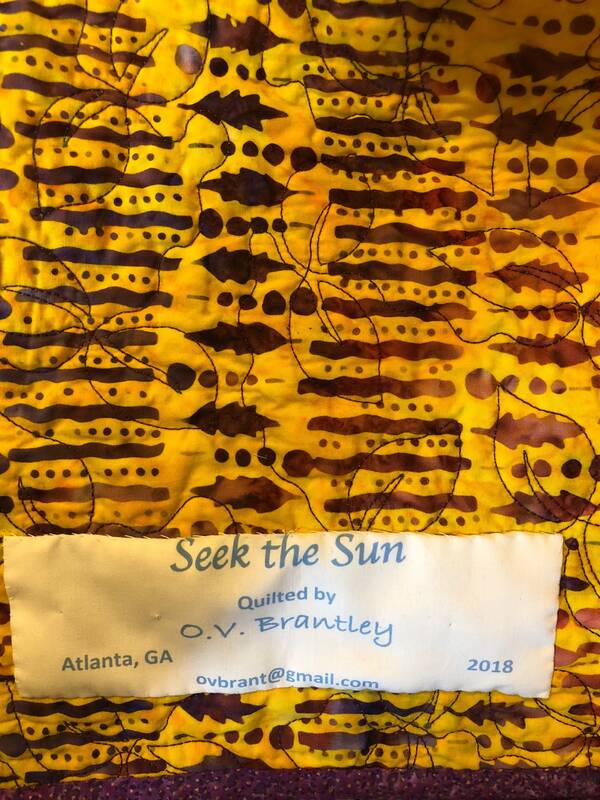 “Seek the Sun” is machine pieced and quilted. 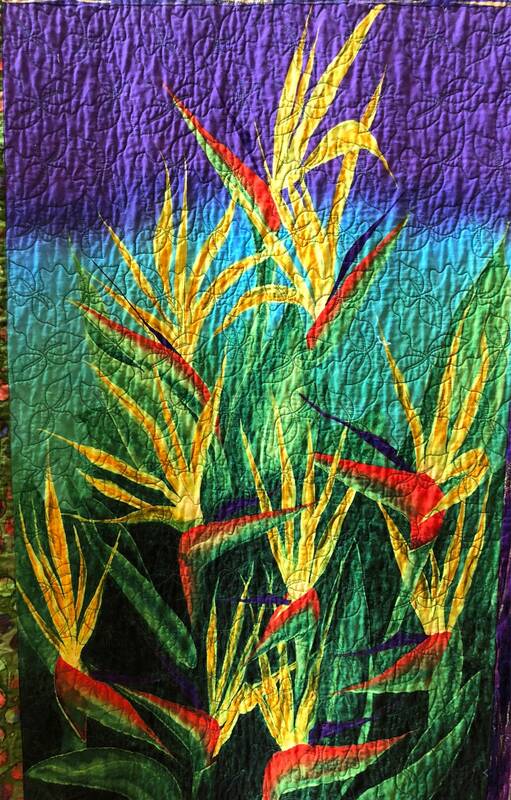 I pieced this quilt on my machine, and long arm quilter Maxine Moore quilted leaves into the background to carry out the theme. 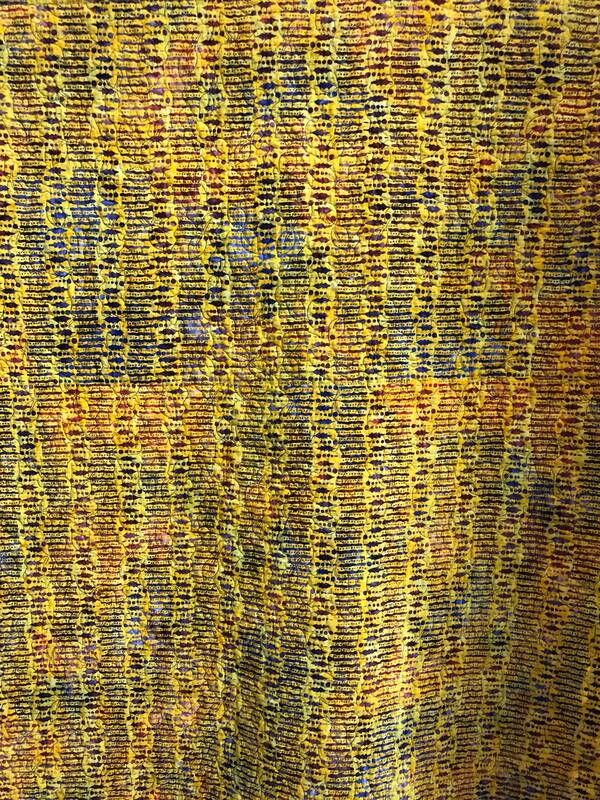 The fabric on the back is a yellow and purple batik. 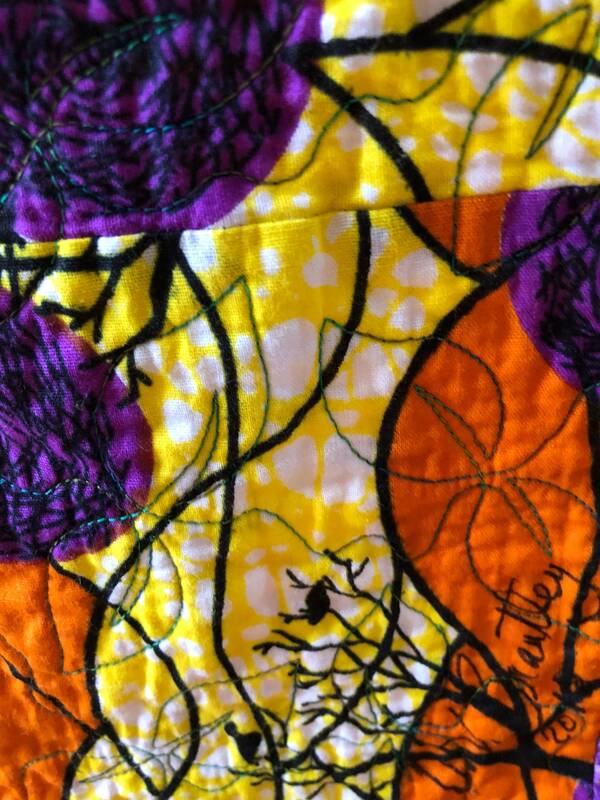 There is hanging sleeve on the back to make hanging it easy, and a label that documents the quilt.